My Little M loves classic games. She loves Memory, Go Fish, Hangman and of course Tic Tac Toe! Anytime I can modify one of her favorites into a sight word game it’s a major score! 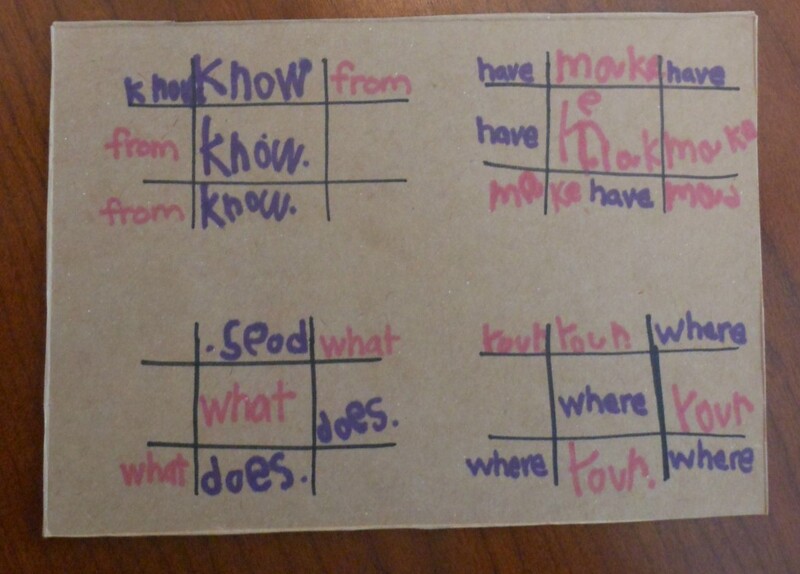 This week we have been playing a lot of Tic Tac Toe… why not add in a little playful learning? I asked Little M to search the stack of sight words she’s working on and pick two. One for her and one for me. Each time we picked a space we filled it with our word. As we passed the board over we read the word out loud. We started each round with a new word. Easy playful learning! Little M’s teacher hands out sight words. 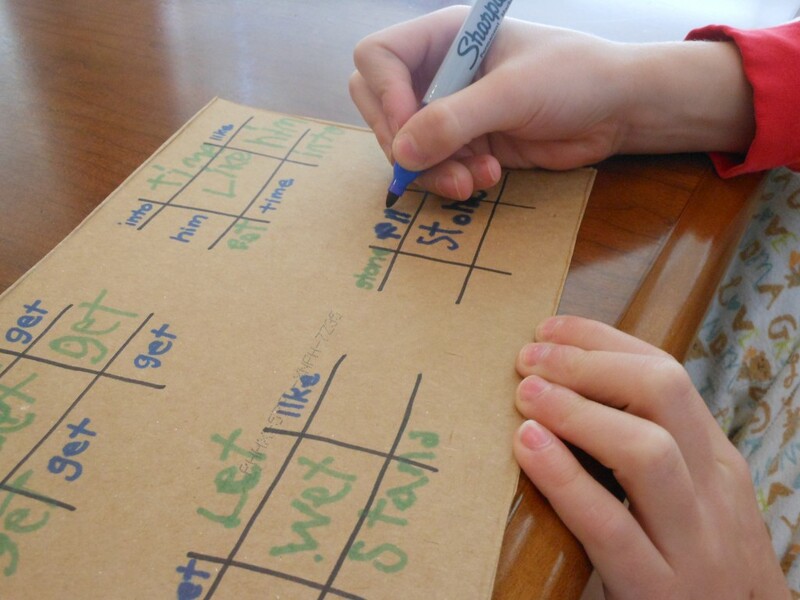 If you need a list of sight words to work with LINCS provides a printable version of Dolch Basic Sight Word List. For Big M we mixed it up a bit and used his spelling words for the week. What you need: cardboard, sharpie and spelling words. I asked Big M to pick the spot that he wanted to mark first. That way he wasn’t trying to play at the same time as trying to spell a new word. Once he knew where he wanted to write it I read a word to him. He wrote the word and I rewrote it on my turn. If he got it right on the first try we moved on to another word. If, however, he spelled the word incorrectly we used that word to finish up the game. Writing it over and over. Doesn’t that sound like more fun than writing the words over and over in a line? What is your little one’s favorite game? Can you modify it for playful learning? This post originally appeared on March 21, 2013. 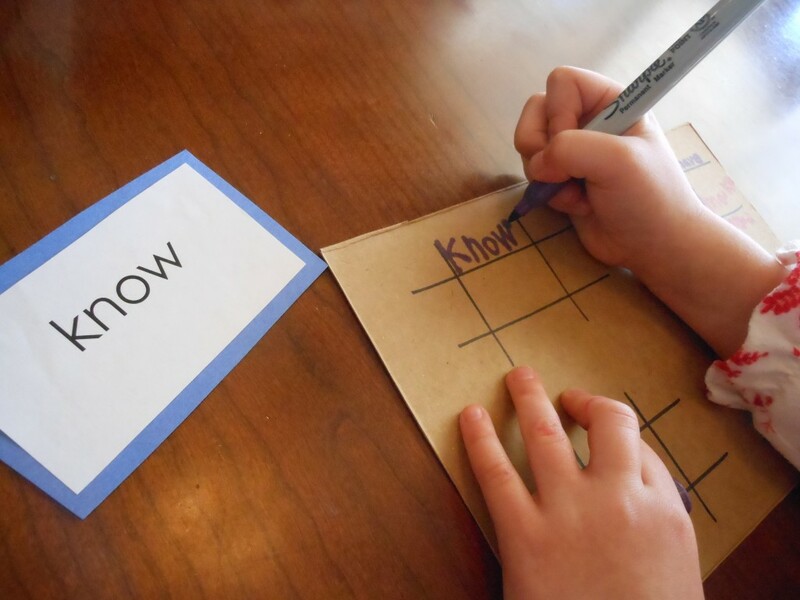 The best way to teach phonetic sight word is to start with the sounds “an” and “at” then add beginning sounds to each and continue from there. Hi Coral! I’m just going through my comments and found this one. Did you end up signing up for emails or do you still need me to do it? Thanks!